This paper presents the educational results, the evaluation, and the technical solution of a pilot project with basic video lecture capturing of traditional math lectures at Aarhus University in 2011. The aim of the project was to establish a lecture capturing service at the university in terms of an easy-to-use and cost-effective video recording and distribution solution for online education. Additionally, we were interested in gaining knowledge about the educational potentials of basic lecture capturing and what role it can play in university teaching. The paper concludes that it is possible, under certain circumstances, to facilitate online learning and actualize certain educational potentials with captures of lectures with a “talking head” writing on the blackboard. Godsk, M. & Dalsgaard, C. (2012). Talking Head is not Dead: Facilitating Online Learning using Basic Lecture Capturing. In T. Amiel & B. Wilson (Eds. ), Proceedings of EdMedia 2012--World Conference on Educational Media and Technology (pp. 2413-2420). Denver, Colorado, USA: Association for the Advancement of Computing in Education (AACE). Retrieved April 20, 2019 from https://www.learntechlib.org/primary/p/41094/. Blok, R. & Godsk, M. (2009). Podcasts in Higher Education: What Students Want, What They Really Need, and How This Might be Supported. In T. Bastiaens et al. (Eds. ), Proceedings of World Conference on E-Learning inCorporate, Government, Healthcare, and Higher Education 2009 (pp. 117-128). Chesapeake, VA: AACE. Edirisingha, P. & Salmon, G. (2008). (Eds). Podcasting for Learning in Universities. Open University Press. Birkshire, England. EDUCAUSE (2008). 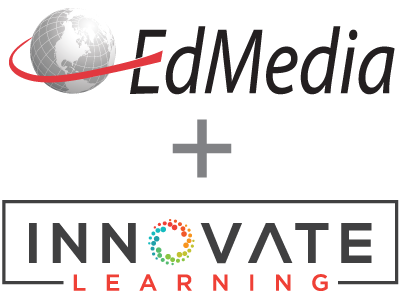 EDUCAUSE Learning Initiative. 7 Things You Should Know About Lecture Capture. Http://www.educause.edu/ELI/7ThingsYouShouldKnowAboutLectu/163555 (accessed May 1st, 2012). Elgato (2012). Turbo.264 HD-Video converter with hardware accelerator. Http://www.elgato.com/elgato/na/mainmenu/products/Turbo264HD/product1.en.html (accessed March 20th, 2012). Ferla, J., Valcke, M. & Schuyten, G. (2009). Student models of learning and their impact on study strategies. Studies in Higher Education. Vol. 34, no. 2, 185-202. Galicaster Class (2012). Galicaster Class-GALICASTER-Confluence. Http://wiki.teltek.es/display/Galicaster/Galicaster+Class (accessed April 10th, 2012). Lang, A. (1995). Defining Audio/Video Redundancy From a Limited Capacity Information Processing Perspective. Communication Research, SAGE, 22(1), 86-115. Opencast Matterhorn (2012). Opencast Matterhorn. Http://opencast.org/matterhorn/ (accessed April 10th, 2012). Mathiasen, H. (2010). Brug af podcasts i undervisningen – muligheder og begrænsninger. Læring og Medier, 5. Sonic Foundry (2012). Mediasite by Sonic Foundry-Create Online Multimedia Presentations, Briefings and Courses Automatically| Sonic Foundry. Http://www.sonicfoundry.com/mediasite (accessed April 10th, 2012). Tegrity (2012). Tegrity Lecture Capture| Lecture capture that scales affordably, campus-wide. Http://www.tegrity.com/ (accessed April 10th, 2012). Vimeo (2012). Vimeo, Video Sharing For You. Http://vimeo.com (accessed April 10th, 2012). Wikis and Blogs and Twitter – Oh My!